Once more into the vault my friends, once more into the vault. Step back in time, to a time when the modcast was young and fresh. Take a giant step outside your current listening constraints and journey with me all the way back to 2011. I've opened up the vaults and dusted off a classic modcast that I think you'll enjoy. Again. 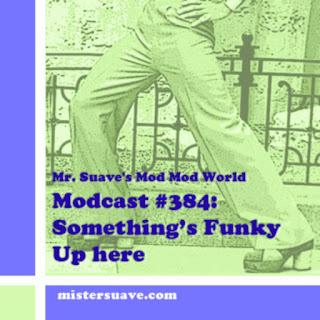 Welcome to Mr. suave's Mod Mod World, it's time to get some while the gettin is good. As always, you'll be getting some good gets with this modcast. A little bit of jazz, a little bit of soul, a little bit of rock and roll. From floor stompers to slow burners, this week you get it all.